What a lucky boy. I got to ride Ginko‘s sibling for a day in true a Adventure scenario. 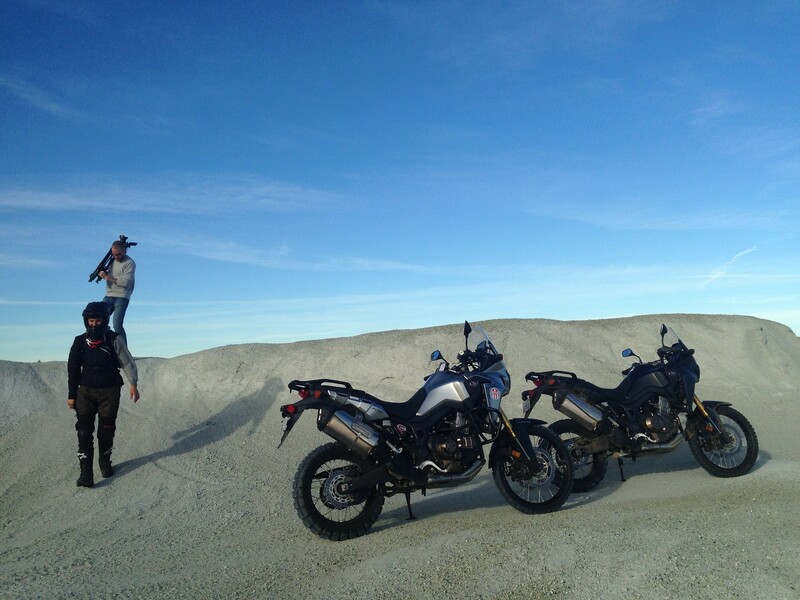 We out for the day filming a video using Honda Canada’s press bike, a black Africa Twin with a manual gearbox. 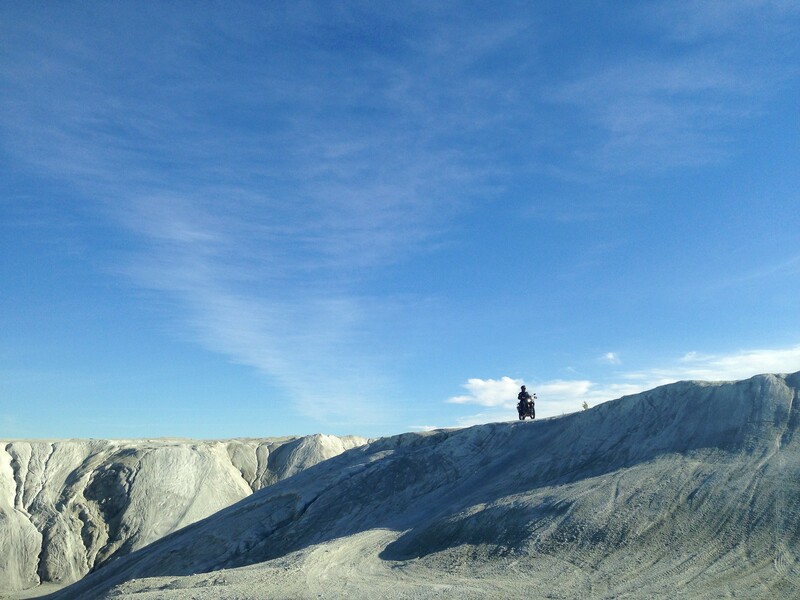 I rode it some 300km on road then spent the whole day riding around an abandoned asbestos quarry. It’s very weird stuff. The manual was an odd change. I thought I would forget to use the clutch, but it was completely natural to return to the norm. The action of the gearbox was really slick but we spent an hour riding out of Montreal in really bad traffic which brought home the advantages of the brainless changes of the DCT on Ginko. When we got to the dirt I really noticed how great the DCT was. Using your hand and foot to change gear whilst man-handling a big bike around this very rough environment meant unsettling yourself. A dirt bike is a totally different thing, but on this beast it was my preference. I’m also more into the silver. Maybe I am truly biased? I’ll link to the video when it comes out. It’ll be very cool. 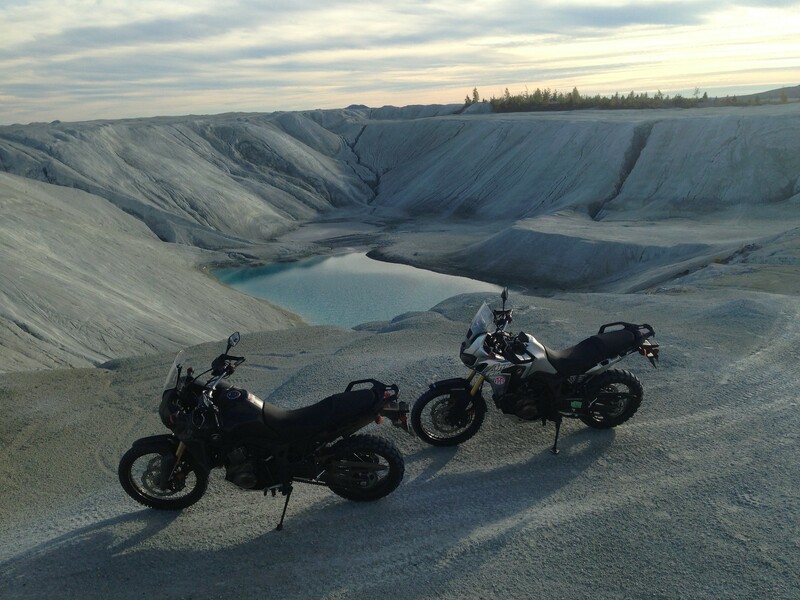 This entry was posted in Africa Twin, Diary. Bookmark the permalink. Looking forward to the video footage!